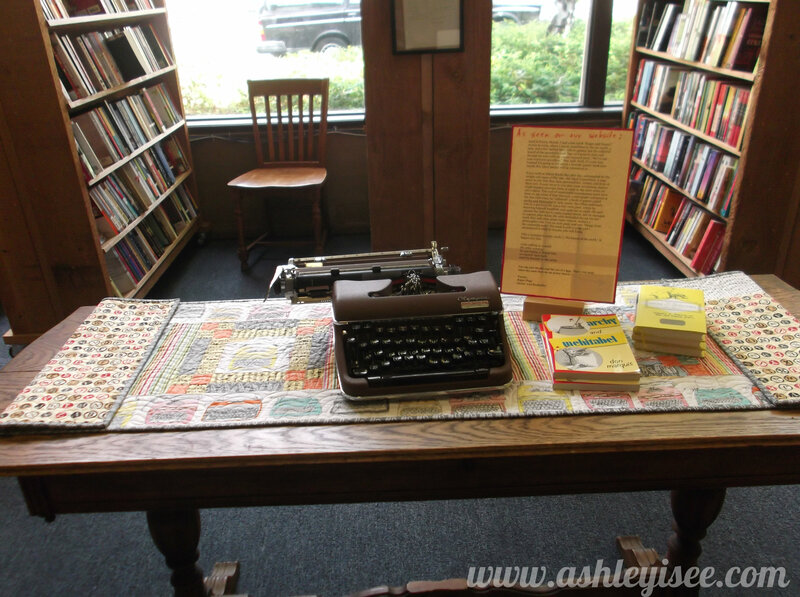 Last month I talked about how Redmond, WA is lacking an independent bookstore. After a lovely weekend of travel, I discovered some lovely bookshops across my state! Rather than focus only on Seattle bookshops, my tour will include all bookshops that reside in the State of Washington. Let me tell you we’re a pretty big state and I can’t wait to discover more bookshops in Washington! In May I traveled to Mercer Island. It really is an island just off of the city of Seattle. Tucked away and only accessible by wheels, this island holds prime real estate and gorgeous views of the water and forest. Among the homes and businesses is the lovely Island Books, the only bookshop to inhabit the land. This large bookshop caters to the residents of Mercer Island, but they also serve a greater community of book lovers. This independent bookshop doesn’t just sell books, but seeks to continue the love of reading and word related arts to anyone that enjoys them. There are old typewriters everywhere. As well as beautiful displays of well loved books. Along with selling other knickknacks among the books, I really enjoyed seeing a special games section that caters to local geography. With an excellent children’s and teen’s section, there is something for everyone. The staff are friendly and knowledgable. There are loads of different areas that the books are grouped into making finding something a treat. The shop even has its own ‘store journal‘ called Message in a Bottle via Tumblr. It’s a great little stop off when venturing outside of the city and I was very pleased to support such a fine bookshop! Ashley, I worked at the Mercer Island Reporter for 8 years awhile back, and I was ‘frequent flyer’ at Island Books. Roger Page and company are the BEST booksellers for miles, and I love their cozy atmosphere and great book acumen. However, unless it has closed down in recent years, there IS a branch of the King County Library System (KCLS) on Mercer Island, not too far from the high school. They have a wonderful used book sale every year that I attend with great joy (I am a bibliophile and have had a love of books for over 45 years). Also, in one of your paragraphs, you say “carters” instead of “caters” and “this independent bookshop don’t” when it should read “this independent bookshop doesn’t”. Just thought I’d help you out with those typo gremlins! 🙂 Otherwise great review of a great bookstore. Thanks for the correction – Will be making edits today! Thanks for the kind feedback as well! It’s very much appreciated! Beautiful store! And a wonderful partner indeed!